Please note: Guest room reservations for Elon Graduation 2020 will become available for booking on Saturday, June 1, 2019, from 1:00 p.m. to 3:00 p.m. only. 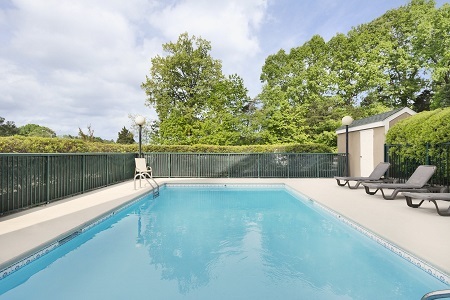 A two-night minimum stay is required with full deposit due at the time of booking. 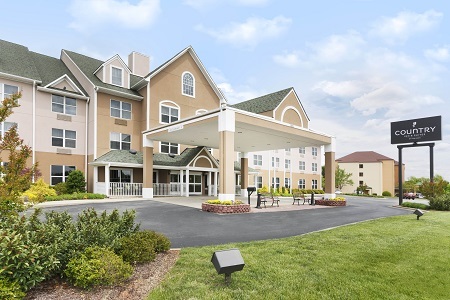 Make the Country Inn & Suites® by Radisson, Burlington (Elon), NC your home base for a golf weekend with friends, visits to Elon University or a stress-free stopover on the road. 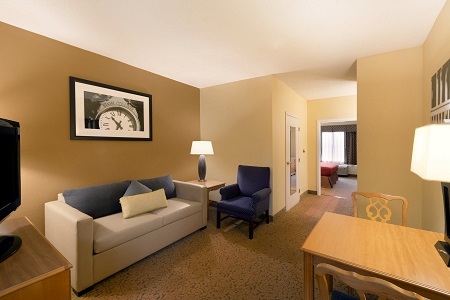 Our all-suite hotel is tucked within a residential area just off I-85/I-40 that offers quick access to a full-service mall and lots of restaurants. 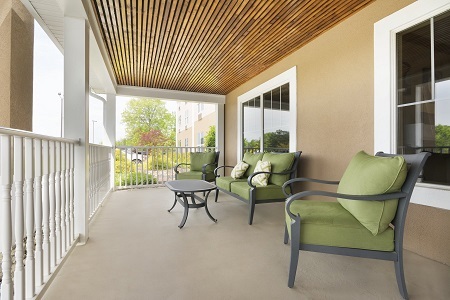 Quiet suites, comfortable beds and a free, hot breakfast with generous selections await you every day, and we offer a variety of layouts with romantic whirlpools, separate bedrooms and more. A peaceful atmosphere leads to restful sleep—and more energy to enjoy our outdoor pool along with the area’s wineries and family attractions. 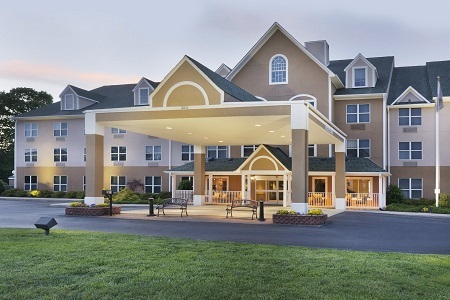 Learn more about our Burlington, NC hotel’s amenities and services. At the complimentary, hot breakfast, we serve delicious waffles, pastries, yogurt and cereals, as well as fresh fruit that’s delivered daily. For lunch and dinner, try Mayflower Seafood, Outback Steakhouse or one of the other nearby restaurants in Burlington, NC. Alamance Crossing – Attention, shoppers! Just around the corner from the Country Inn & Suites you can find this vast retail center, with anchors like Belk and JCPenney. Catch a movie at the cinema, or grab some lunch at the food court. Alamance Crossing is just a mile from the hotel. Burlington Royals – See this Minor League affiliate team of the Kansas City Royals round the bases at Burlington Athletic Stadium, only 5.4 miles from our hotel. Elon University – Visit students or tour this top Southern institution, a four-mile drive from the hotel. Take in a Phoenix football game, or just take a walk through the university’s 600 acres, voted America’s most beautiful campus by the New York Times. Hold your next big event in our 1,400-square-foot, dividable space equipped with free Wi-Fi. Take advantage of our catered snack packages to keep your meeting going, or give your guests options from our à la carte menu.